How long to feed puppy food to German Shepherd? The best diet for a German Shepherd puppy? Pick the best for your pup! Intelligent, lovable, loyal and alert these are few of the common traits of a German Shepherd. From being a fantastic guard dog to learning tricks easy and fast, German Shepherds are those who will always be by your side. They are high-energy breed and require a lot of nutrition and exercise to stay healthy and happy. If you plan to bring home a German Shepherd puppy, you need to understand that you will have to take proper care of its diet and workout sessions. This breed needs good protein to balance its energy level. You may also opt for reduced fat food that suits your pup. Your German Shepherd puppy will require lots and lots of high-quality protein as he grows. You will also realize that as your puppy turns into an adult, the apatite reduces. Under a usual scenario, one can stop giving puppy food to their German Shepherds when they reach 10 to 11 months. However, when to end the puppy food also depends on the growth rate of each pup. It is advisable to visit a vet to keep a check on the puppy’s growth. Bringing a big breed dog German Shepherd requires a right amount of protein. However, as they grow, you need to take proper care of its diet. Below mentioned are the best diets suitable for different age puppies. - One month old: Feed them wet food like porridge or chicken stock for protein. ​- Two months old: Introduce dry puppy food - needs 4 to 5 feeding per day. Never indulge in overeating, as upset their tummy. - Four months old: Reduce feeding time to 3 times a day and increase the proportion of food. Feed them fresh food, meat, fish, etc. Do not give them raw meat. Do take out the bones, as it might harm the pup. - Six months old: Reduce feeding time to 2 times a day and increase the proportion furthermore. Let them have some shatterproof bones, like in strengthening their teeth. And do not forget to give them the required protein. 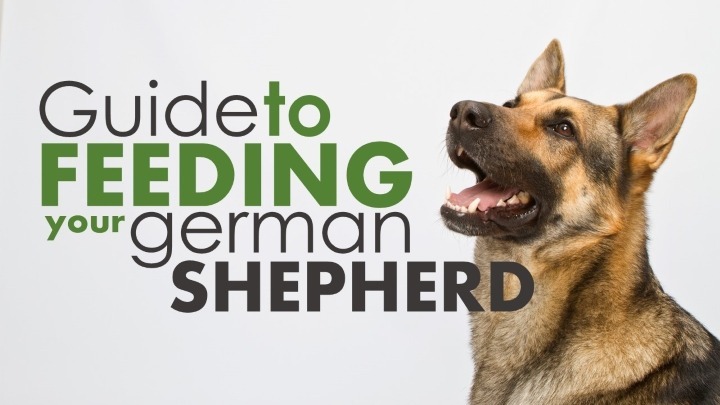 Still confused about what to feed your German Shepherd pup? Well, here in this article, we bring you a list of best food for German Shepherd pups. Let your puppy grow into a big and energetic adult dog. 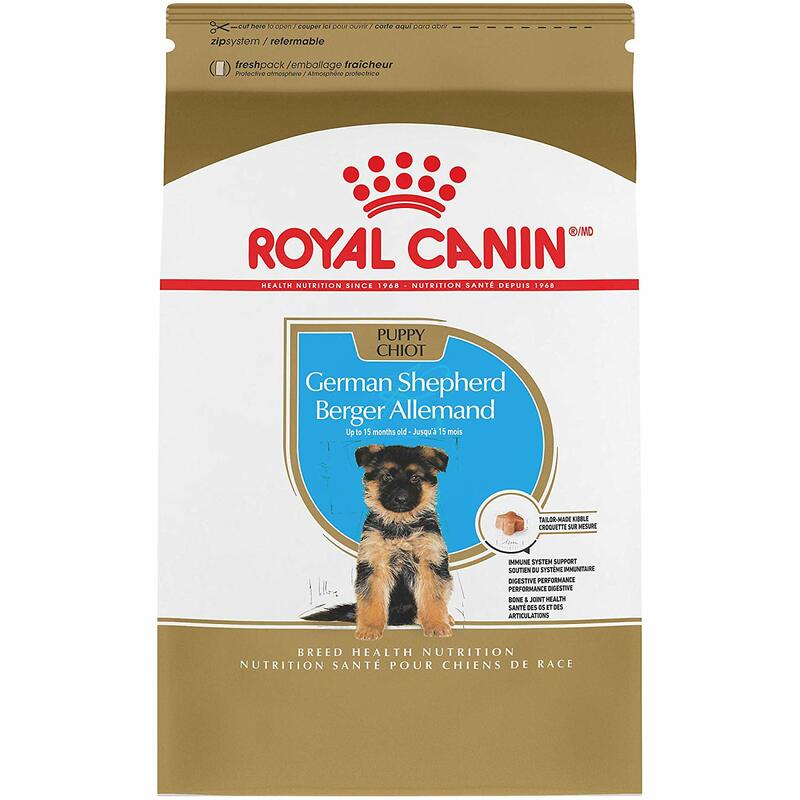 This Royal Canin diet is perfect for puppies aging 8 weeks to 15 months. The food comprises of all the essential ingredients required for all the specific health needs of your puppy. It helps in healthy digestion with balanced intestinal flora. It contains the right amount of calcium and phosphorus that helps in making the bones and joints stronger. The diet also possesses antioxidants that support the puppy’s immune system. Your puppy would love to chew on this kibble sized munchies. 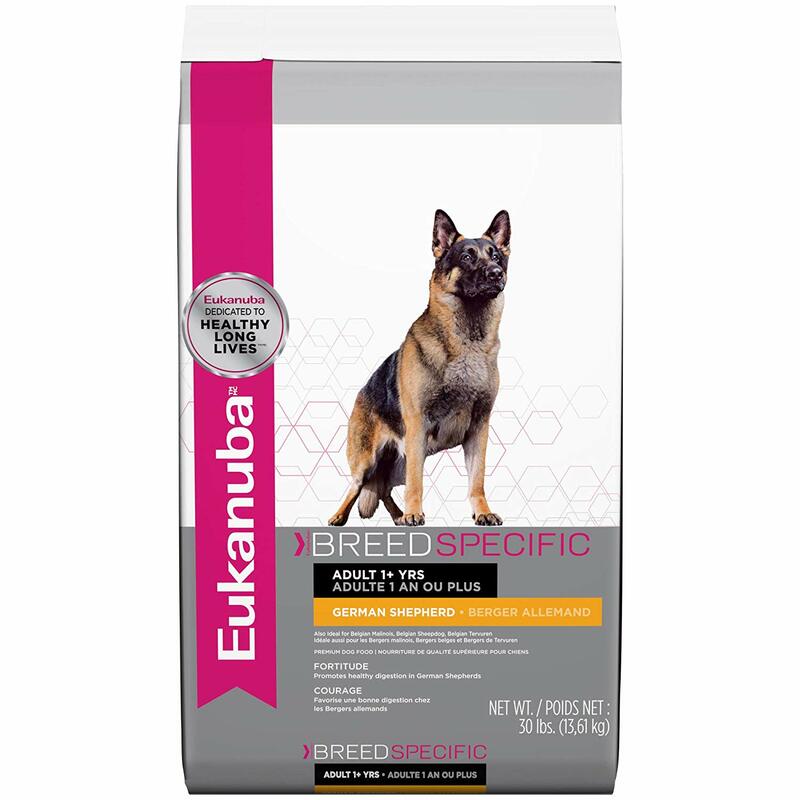 The brand Eukanuba has always brought forward quality and nutritional food for different breeds of dogs. This dry dog food for larger breed dogs possesses the 3D DentaDefense System that helps in building the body while reducing tartar build-up within 28 days. This dry food is specifically designed for German Shepherds and contains high levels of animal-based proteins that provide strength to the bones, muscles, and joints. It also comprises of a blend of beet pulp with higher FOS that helps digestion. The L-carnitine and natural taurine in it enhance the heart and keep the puppy healthy from within. You will want your little puppy to grow up into a large and active adult. This is why you need to feed him rich protein. 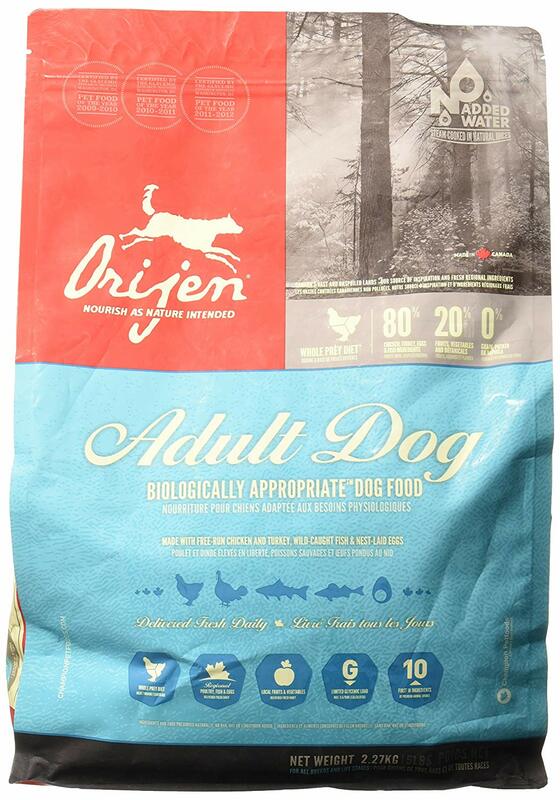 The Orijen Grain-Free Adult Dry Dog Food consists of 38% rich nourishing protein and 19% carbohydrate. 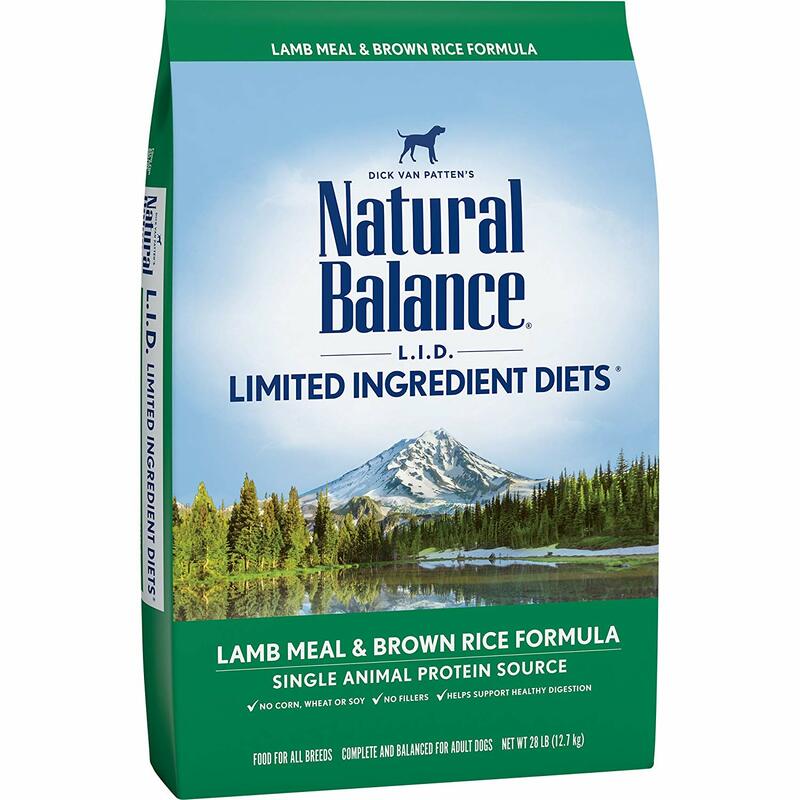 The diet is specifically designed for large breed dogs, satiating all their nutritional requirements. It comprises of fresh turkey, chicken, eggs, and fish. It does not contain any preservatives and provides optimum strength to the bones and muscles. Make it a regular diet along with a lot of exercise, and you will watch your puppy grow stronger and muscular. Moreover, your puppy is sure to love the meaty taste of this dog food. 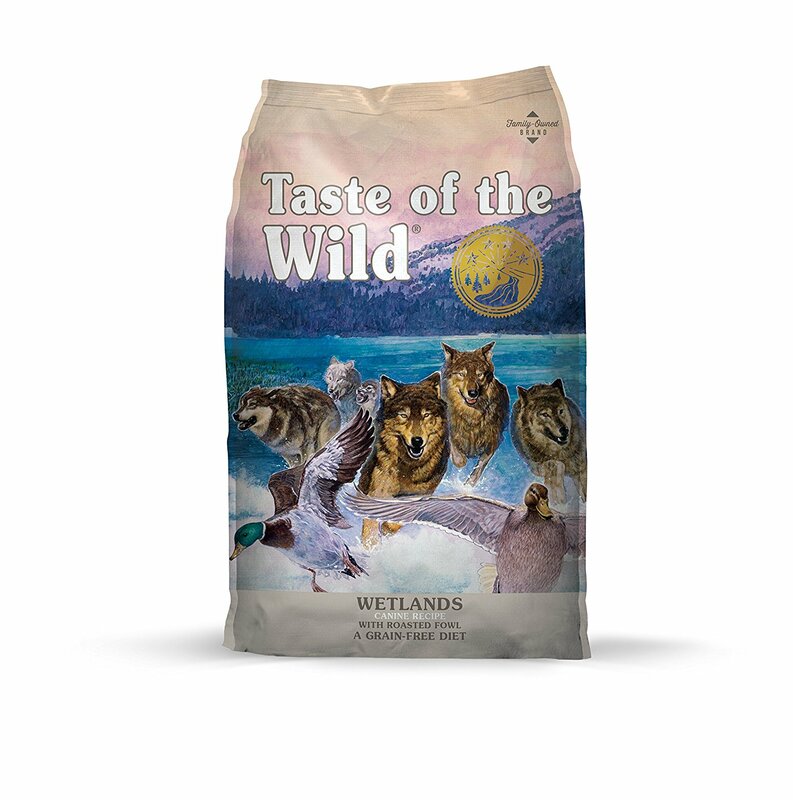 Give your puppy a tasty and balanced diet with Taste of the Wild Grain-Free High Protein Dry Dog Food. This wholesome nutritional diet is formulated with quality protein that includes smoked duck. It is a grain-free recipe comprising of sweet potatoes and peas. A perfect food that will help your puppy to stay active and healthy, this diet also has the right amount of natural antioxidants. The diet helps in building strong bones and muscles, and the added vitamin keeps the puppy healthy from within. Apart from the above, the omega-3 and omega-6 fatty acids present in this dog food help in enhancing the quality of puppy’s coat and skin. The best part is the taste of this dog food is something your pup would love. This diet is formulated with a limited amount of protein and carbohydrate. If your puppy has a sensitive digestive system, this is the best diet for him. It does not possess any artificial color or flavoring and is easily digestible. The quality nutritional content in this dog food will provide complete health to your pup. The brown rice included in the ingredients provides fiber and essential oils, which is very important for your puppy’s immune system. The Omega- 3 fatty acid helps in improving the quality of your pup’s skin and coat. German Shepherds are a stronger breed of dogs. They need optimum protein and good exercise. If you want to give your German Shepherd puppy a wholesome diet and also treat his taste buds, you must opt for the Orijen Grain-Free Adult Dry Dog Food. This diet is fill with protein and other health benefits for your mutt. The high-quality meat in this dog food also makes it a tasty treat for the puppies. Make sure to give your pup the best diet and let them run around. With proper diet and exercise, your cute little puppy will surely grow up to become a great companion.